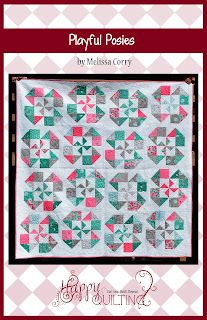 Today's my stop on Quiltmaker's 100 Blocks Vol 7 blog tour and I am so excited to get to share my block. I call it Plaid Squared. It's block #657 and is on page 50, which is super easy to find because it is right where the insert is, so the magazine just wants to flip open to that page all on it's own, yup, I got a kick out of that!! Plaid Squared is a modern block that looks fantastic in solids. The block was actually inspired by my husband's robe, which is made of a plaid flannel print. I know, only quilters cut up and recreate something inspired by fabric in the first place :) The fun thing about the simplistic nature of Plaid Squared is that it has endless design options :) Like simply alternating the color layout to make a fantastic picnic blanket. Or maybe, doing solid color blocks to really emphasize the design. Wouldn't these just be the cutest baby blankets for little baby boy and little baby girl. And you could easily add some applique in the center of the squares if you wanted to add a little punch. And for a super bold look, you can always add a background color. Don't you just love the way a super dark background just makes the colors pop!!! And what a great way to bust some scraps!! The possibilities are just endless. And speaking of endless possibilities, be sure to pop on over to Quiltmaker and see all of the other blocks on the tour. They are fantastic!! But before you go . 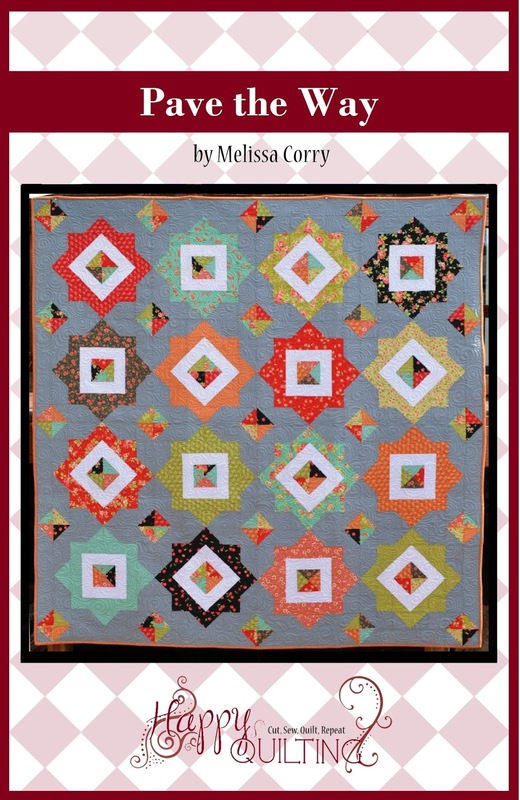 . .
Would you like to win a copy of Quiltmaker's 100 Blocks Vol 7?? 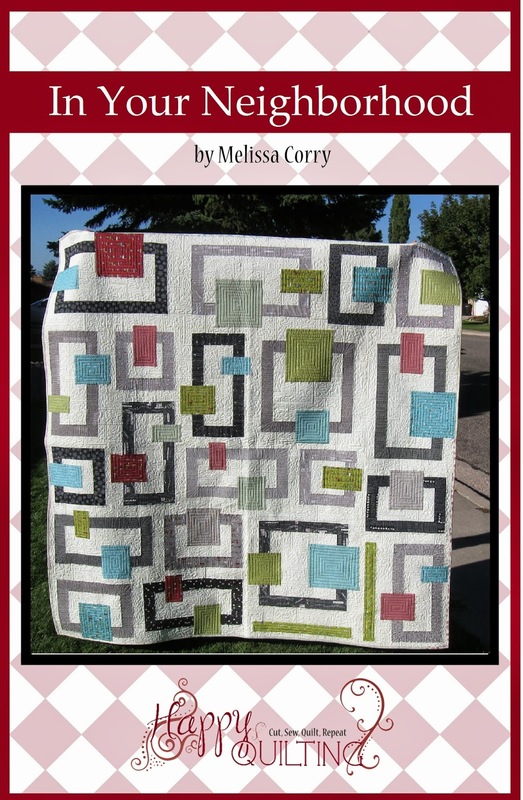 Quiltmaker will be sending a copy of 100 Blocks to a lucky winner!! 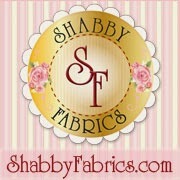 And for fun, I will also send that lucky winner their choice of 3 of my patterns!! Easy right. The giveaway is open to everyone and will end on May 9th and a winner will be announced shortly after. Oh, and by the Way . . . 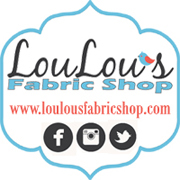 If you are stopping by for the first time, Welcome!! I am so glad you stopped by and hope you will come back often. I just love sharing my passion for quilting. Seven....stashes of fabric in my house! 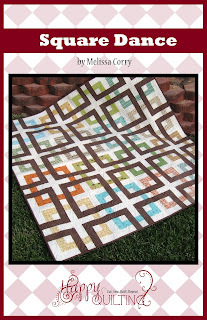 Congratulations Melissa on having another block published in Quiltmakers 100 Blocks magazine. 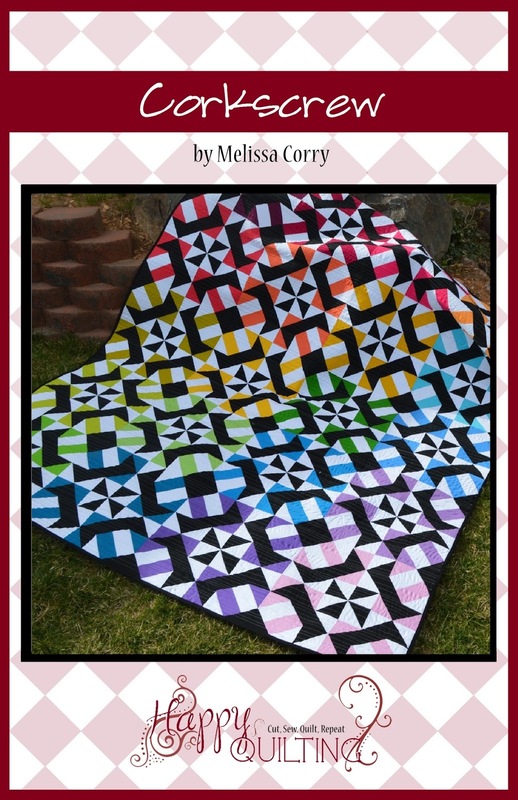 Plaid Squared is a really cool block and this idea to add some applique in the center of the squares is great. Some fancy quilting would do great in the center as well. It looks great in the Summer Picnics, Hugs and Kisses sampler. I think I have another project on my to do list as well. LOL Just what I needed. Thanks for the chance to win! P.S. I have way more than 7 stashes of fabric in my house! With my 5 children, we are 7 in our family. I like your plaid squared block and it has great potential for use alone or combined with other blocks. I can think of several projects I could use that block in but I need to find more time to fit it all in as currently all 7 days of the week are so full. What a great block! it's so versatile! My shoe size is 7!! What a nice block! 7 is 1 more than six. I hope, my comment is the 7. Unfortunately is the 8. Nice block, it seams to be a handkerchief. Um..... 7 is 42 years younger than I am! This block is gorgeous, I really want to make a solids only quilt with this block. Thanks for the chance to win. It would be lovely to win pattern 107 along with vol. 7 because I like to quilt 24/7! I am 71, quilts are my passion. Thanks for the chance to win a great magazine. I was 27 for 10 years! I can't wait for May 7!!!! Love seeing all your different layouts for your block! When I hit mile 7 on Sunday I'll be more than half way through my half marathon! Thanks for the chance to win! Great block, and great giveaway! A test of concentration is to subtract 7 from 100, and then 7 from 93, and so on. Try it yourself, it's difficult! Seven years closer to retirement! God may have rested on Day 7, but I quilt! I haven't bought any fabric for 7 days. I think that's a record for me. I have been reading Quiltmaker magazine for more then 7 years can't wait to find the next issue in my mailbox. Great block and love your patterns layout.Seven are my beautiful nieces!! 7 is the perfect number.especially for swans a swimming. I am working on 7 projects right now. My 'puppy' is 7 years old! 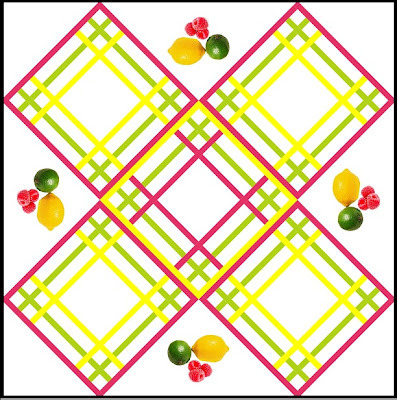 Love your block and I can see making a summer quilt out of it. I have been working on a quilt for a friend and it's been 7 days so far. Thanks for the chance to win. When I was seven years old, my grandmother made me a quilt. I wish I still had it. 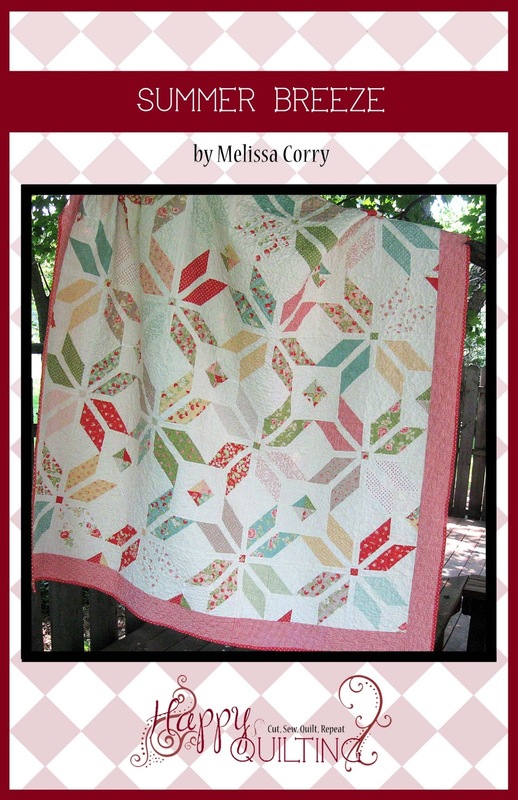 I just love, love, love the summer quilt. 7 is my lucky number. If I could, I would sew for all 7 days in a week! Great block and book! 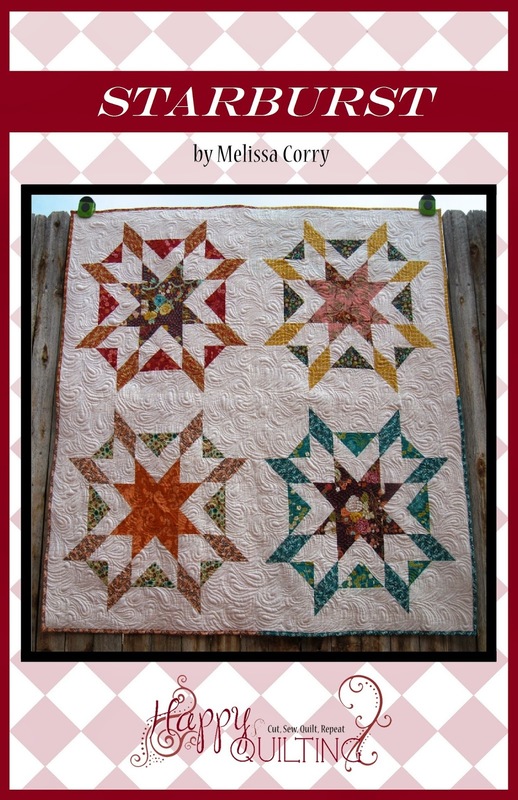 Wow, Melissa, I'm very impressed with your time management skills; 5 little ones & quilting. I have 7 nieces & will be 67 this year. Plaid Squared looks a fun pattern to do. I like your patterns, too. If I should win, I live in Germany, but I have multiple USA addresses & visit often. With 5 brothers there's always a wedding, graduation, or significant birthday to celebrate. I always want to make at least 7 quilts daily as I explore the great blog posts on these bog tour sites! Too bad there are not enough hours in a day. Oh how I love the number 7...lol! Anyway, congrats on another beauty of a block in one of my fave mags! I look forward to trying your star, as well. What a neat block. Over 7 years ago (closer to 30) I crocheted a plaid afghan. Now an opportunity for a quilt! Thanks! This block would be perfect to use for quilts for my 7 grand-daughters or for my 11 grand-sons.it is a neat block. 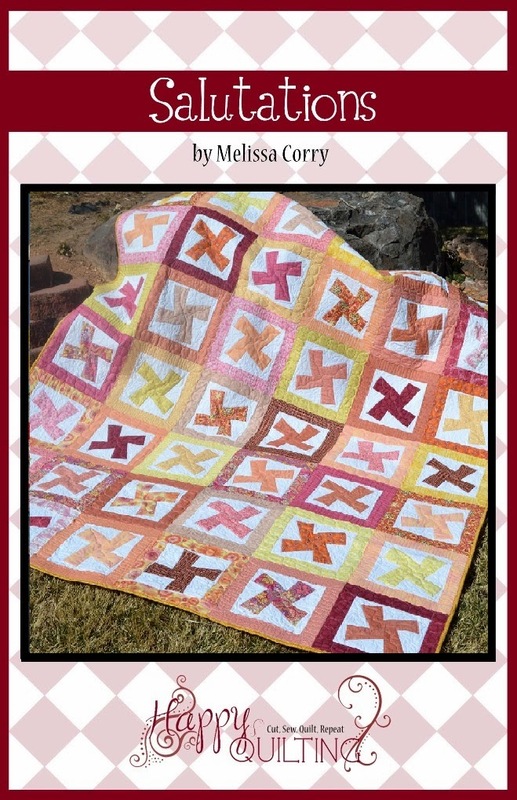 I love the plaid squared summertime project. I started looking at blogs at 7:00 this morning - what fun! I have 7 quilt tops that are waiting to be quilted. Wish I had 7 hours a day to quilt and finish all my projects. I am sitting up late looking at the newly posted blocks. It is 12.17 on Friday morning here in New Zealand. I am loving looking at everyone's new blocks. I've got seven books with quilt patterns, and three books about FMQ. Love your block. I think I will make 7. Love love love your block. it is 8:37 a.m. EDT in Ohio. It's half-past seven and 67 degrees with wind at 17 Love your plaid! My oldest daughter is 7. What a great age! That's a great block pattern! I really enjoy reading your blog. Thanks for the give-away and here's to the lucky number 7! Your block pattern is neat. 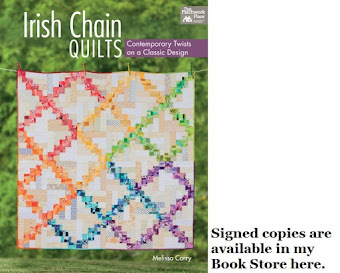 I love both your Irish Chain quilts. WE have had the most amazing weather here in MN over the past 7 days, everything from 70's to snow! Let's see, seven.....how about 7 days a week to quilt! I really love your block - so many possibilities! 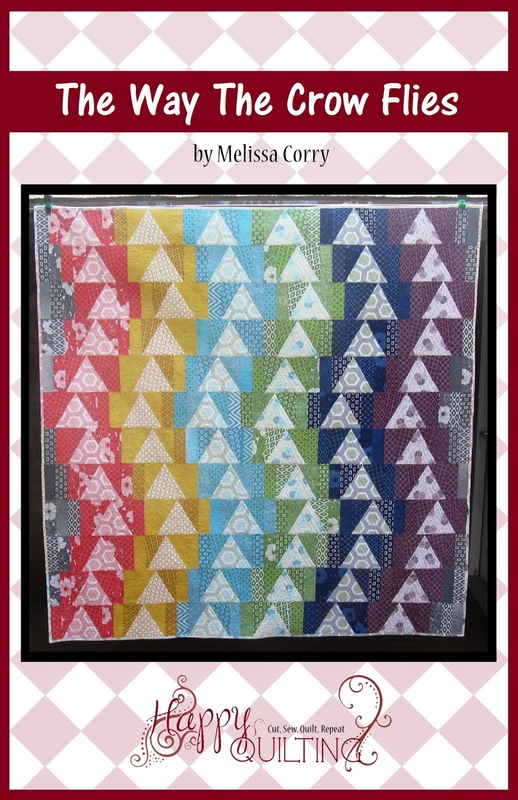 In fact, I can think of 7 different variations of this quilt block that I would love to make!! I would love to make your block using 7 solids. Great block! Love all your setting ideas. I know there are over 7 hours left of work before I can go home and start quilting. I love your patterns and this looks like a great book! My son just turned seven this past March. Thanks for the chance to win!! We have three grandchildren who were born on the 7th day of the month. Really like the plaid block. There is no way that I am going to be the 7th comment. I really do want to make your Plaid Square - then the Quilt - then put this beautiful quilt on my bed. I am either going to win a copy of QM 100 Blocks Volume 7 or I am going to buy this magazine next week. Thank you for being a part of this tour and giving all of us, your followers, a chance to win. I always enjoy my visit to your blog. There is always something interesting to do. 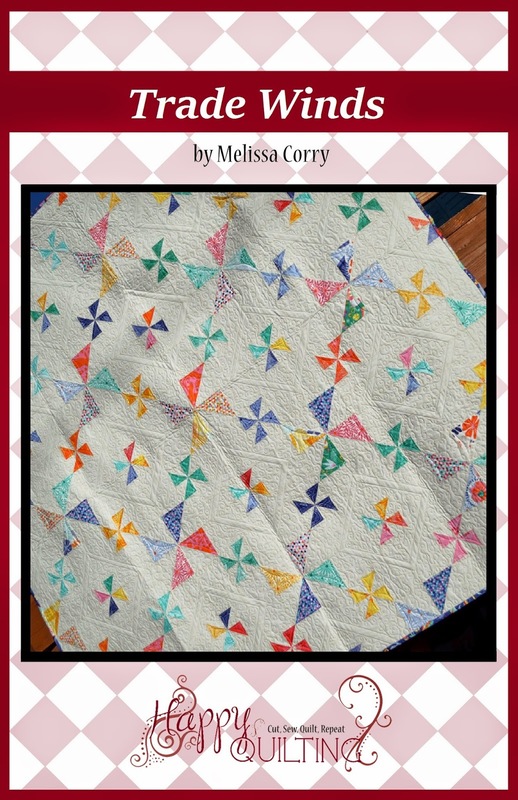 This block is great and I love the baby quilt idea... my mom is one of 7 sisters... she made each a 7 sisters quilt trying to figure out how to inherit one of them(no time soon)..
Love your block, especially the summer tablecloth--so inspiring. 7 more minutes to spend on the Blog Tour this morning....gotta run! Love your block, and all the colors you posted. Lucky #7 is always good for me! Two of my three granboys are 7 years old. They are each first graders. Seven is symbolic of completion. Maybe I will be able to complete sewing the binding together for my Double Wedding Ring quilt today. Thanks for the generous, generous giveaways. My sons turns 7 this month! Where does time go! Love your block and congrats. My grandson will be turning 7 on May 23. Wonderful block and I can see how it would make a great scrappy quilt. I have about 7 people who I could make that quilt for. Sowed in Minnesota yesterday but my home didn't get 7 inches of snow....thank goodness!! Great block! Congratulations on having it in the magazine! Thank-you. I have five grand nieces & nephews turning 7 this year. Love your block - always looking for new ideas for baby quilts. That's easy! There are 7 days before you let me know that I won!! I would love to have 3 of your patterns & the 100 blocks magazine. I am going to do 7 different blocks today just because I like a challenge. Thanks for the chance to win. Any comment that includes the number 7, how about I wish there were 8 days in a week so I could spend more time quilting? Haha. What a unique and versatile block. Hmmm, I need to think about how to use this one. As you said, the combinations are endless. I just love it! I love this block. I started off as a lover of the traditional blocks and still am but am very excited about these modern patterns, with solids. (I collected a lot of solids to do the first circle in my 47 Grandmother's flower garden hexagons, using 30s prints). So now i'm set to go with modern quilts too!Thanks for the inspiration. It's amazing the number of different ways your block can be used. There must be at least 7, and probably even more! I love that you posted 6 of your patterns, but I would have loved to have seen a 7th posted as well! Ok, probably dorky, but I got the number in there! Love your block and I especially loved it with the black background! Boy, do those colors ever pop! I think I am in seven heaven, with seven popping up everywhere! Thanks for the chance to win! There are 7 days in a week, all ready for sewing and quilting! Ooh--I'm feeling lucky--my birthday is October 7!! Love your block and can't wait for the magazine to be out. Wish I had 7 uninterrupted hours to quilt. What a dream! Congrats on having your block in Vol. 7! I love your pattern if I win..Wonky Irish Chain"
I love love this block....I have a 7 year old grandson that I am sure I could make a quilt for using this block...thank you for the chance to win. I will be working on 7 donation quilt blocks today. After those are finished, we can start piecing it together. 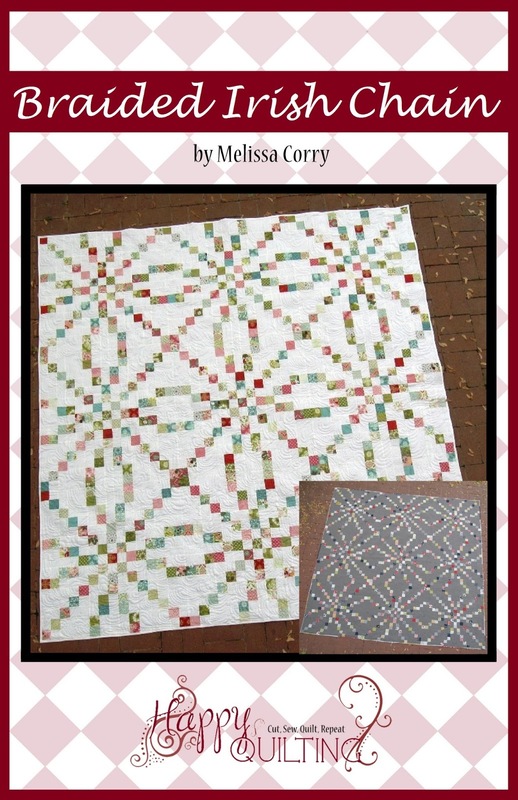 Thanks for the chance to win a copy of "Quiltmaker's 100 Blocks, Vol. 7" & one of your patterns. By the way I love "Dreaming of Paris". I think Volume 7 will be the best yet! seven, 7 SEVEN...... that's my lucky number, too. really like your plaid block and appreciate the display of extra possibilities. Since my birthday is Sept 7, I think this might be a lucky volume! I really love the geometry in your designs. I find the angles and order very soothing. Hope you continue to design! 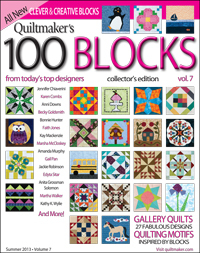 The 7th volume of Quiltmaker 100 Blocks magazine is number 7; but, I suspect it be the number 1 bestselling magazine. I wish I had 7 days off from my real job to stay home and sew! I wish I could finish 7 projects today! Love the inspiration. I am the oldest of 7 children and aspire to make each of my nieces and nephews a quilt. I have completed 5 and have 10 more to do. 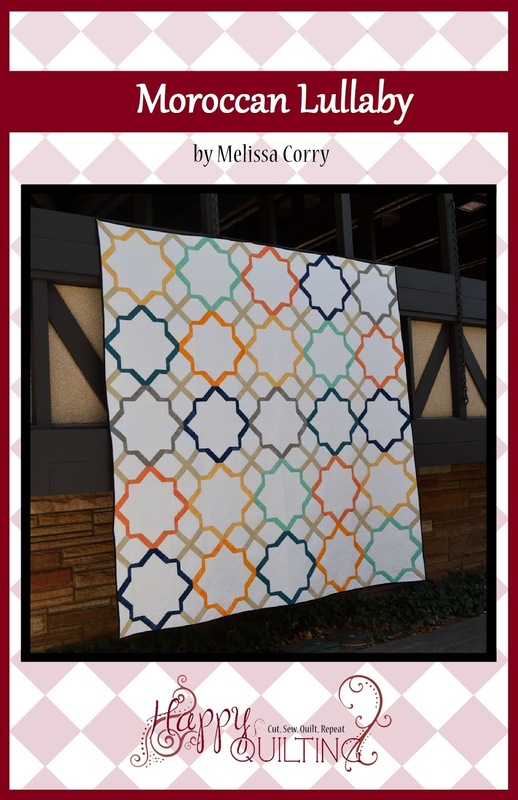 Melissa-Love your block-so simple yet has many possibilities making it very versatile. Lets see using the number 7 to win a pattern sounds awesome to me, I can think of "7" ways to use the plaid blocks. There are 7 different color schemes shown in the post. I really like how the on-point example seems to emphasize the inner color. I see the number 7 in your Summertime Picnics quilt. It is the straw in your center block. Thank you for this great giveaway and have Lucky 7 day! I think a plaid block is genius. I've been thinking about doing a plaid quilt for my husband. Add it to the list of 7 bazillion other things I want to make! 7 has always been a lucky number for me since I was born in the 7th month. 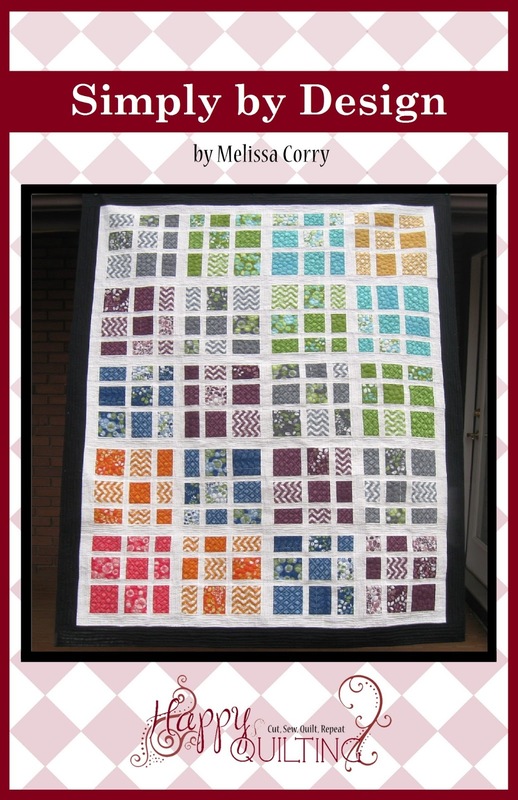 I love the Plaid Squared block especially in the bold bright colors. Looking forward to adding it to a sampler quilt I am making. There are at least 7 blocks that I want to make, and the blog hop has just started. I really need this collection. Yours would be a fun block to add machine embroidery to. I wish I only had 7 projects on my to do list! I have never made a plaid block. I am anxious to try making one or seven of them. I liked seeing how others used 7 in their comments. It's fun to see how many had a 7 of something in their lives but I did like the one about the days of the week. =) I liked seeing the samples of the other colours especially the baby quilt ideas. All and all I am really looking forward to this issue plus it makes me want to dig out the past issues I have to see what I've forgotten. My brother is turning 50 on June 7. I'm excited about making plans to fly cross country to join in the festivities! I really like your block. I have way more than 7 ufo's to complete. If I spend another 7 hours on this blog tour, my hubby might disown me :) Love the plaid! Congrats on being in the 100! Your 6 patterns plus this 1 great block makes 7 good ideas to look at. Seven(7) is always a lucky number. Thanks for the giveaway. With the birth of our first grandchild in August, there will be 7 in our immediate family. How's that?? It has been 7 months to the day since I had surgery. Another fabulous block, love the raspberry lemonade idea! I have 7 grandchildren, and I could make a different version for each one! Thanks for the chance to win! Congrats. What a wonderful give a way. 7 Hmmm Oh its been seven months since my son has had a serious girl friend. He plans on asking her to marry him in the fall. Woohoo !!! I have 7 cats:) 5 inside and 1 that goes in and out and one outside:) Good thing you didn't want us to use the #10:) haha!!! I like your design with your block on point, so I would make a similar quilt using 7 blocks, or use 7 fabrics. Wow Melissa! That is an awesome block. The minute I saw it, even before scrolling down to read through the post, your block reminded me of the old fashioned dish towels which usually had an embroidery design in the center done in redwork. This block might work really well to be put together using lighter cotton, or even using toweling and either stitching a grouping of the blocks together to make a large enough size to use as a dish towel, or just a secction of them horizontally to stitch into a section of toweling. Then doing some embroidery in the center of each one. I would probably put a backing on it though and very light quilting stitching but no batting at all; just enough to hold the two pieces together to avoid slipping/twisting. If it works the way I am thinking, then making 7 of them, one for each day would make a super cute Christmas gift or any other time of the year gift. Beautiful job Melissa. I really love this block. Love the plaid block, so many possibilities. I celebrate my birthday in the 7th month. Thanks for sharing. Well, I love the uniqueness of your block. As for the number seven, can't think of anything that has a 7 in it except for my granddaughter's age. I guess that does it for the number 7...feel like I am on Sesame Street. 7 is my favorite # because there are 7 in our family with our 5 kids. Your plaid block is so cute & versatile. Congrats on being included in 100 Blocks vol. 7. 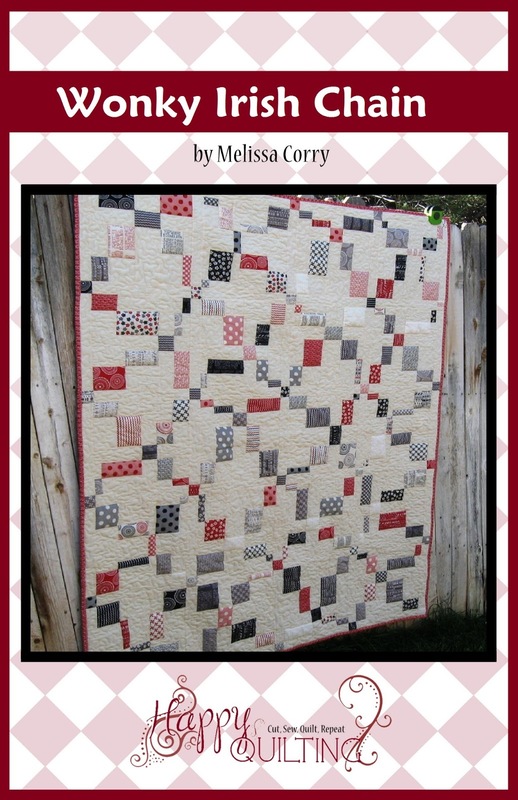 Very nice plaid block and by making the blocks in various colors makes an amazing plaid quilt. I love this block so much. Thank you!! Can't wait to see what you have for us tomorrow. I have 7 projects going right now, not all are quilting. LOL, I'm #127 on your Comment list. Thanks for making a versatile block. It looks like extra fun to play with rainbow colors. 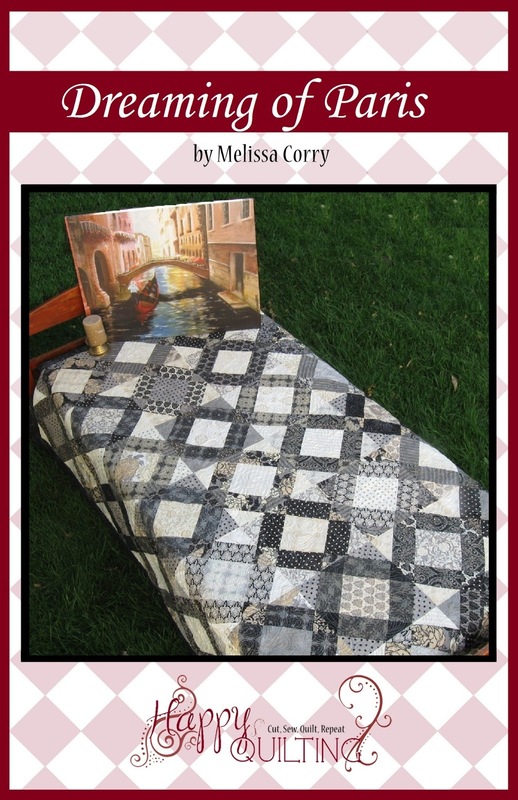 I have your blog on my Blog Roll so I read about your quilting adventures all the time. It's fun for me to recognize the Blogs on the Blog tour as some of my "Blogg-y Friends". Hope I'm one of the Lucky Winners of Volume 7! Isn't 7 supposed to be a "LUCKY" Number?? 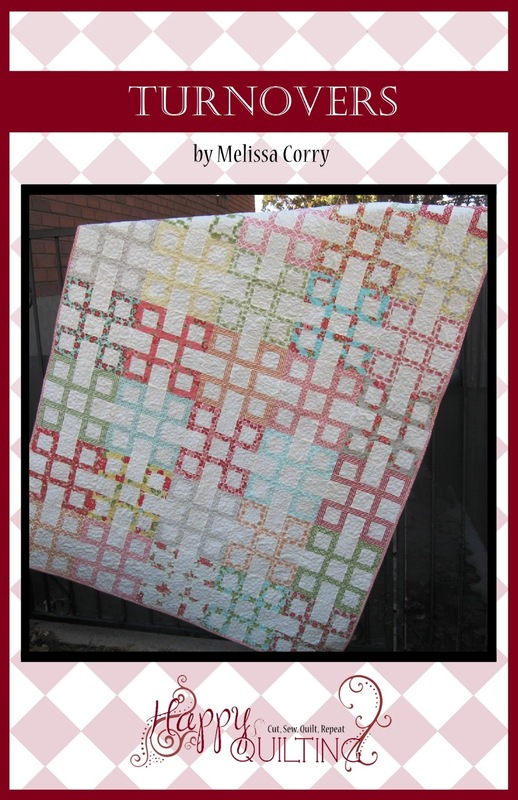 I have 6 finishes in 2013 so far and I am itching to start quilt 7! Thanks for the giveaway and sharing your block! 7 seven is a perfect number to use - it's an odd prime number and stands on it's on regal and tall. 7 is the age of my eldest grandniece. 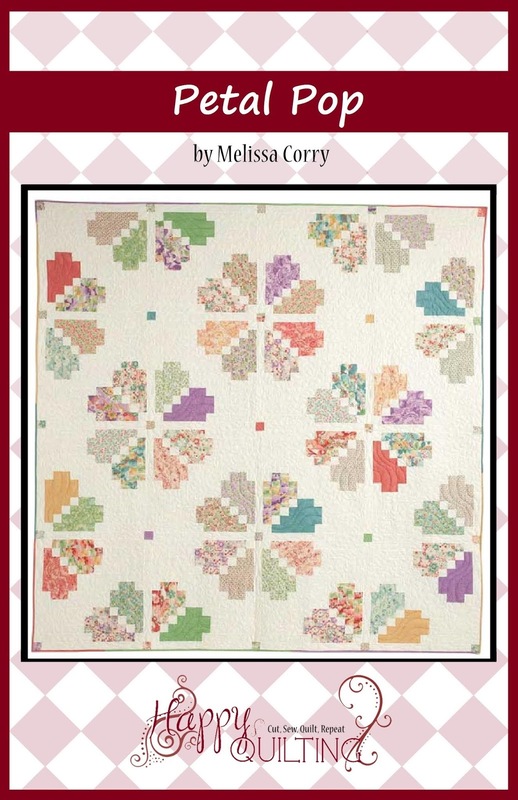 Congratulations on your block being included in Quiltmaker's 100 Blocks Volume 7 magazine -- YES, VOLUME 7! Your block is truly an original unique block and I can see the versatility that you wrote about in the post. Thanks for the chance to win too! I have 7 Rose-Breasted Grosbeaks on the feeder at my house right now. That's a first for me. I can't wait to see the magazine. Maybe I need 7 loaves of bread and 7 fish to feed all these birds. Oh, I would love to win! I love your block, and I love your patterns! And right now I have 7 quilts planned that I haven't even started cutting, so if I win, I'll even that right up to 10 with your patterns! My favorite number is 7! I was born in the seventh month and have the number seven the the day and year if my birth. I recently had foot surgery and have used 7 days of short-term disability so far. My sewing machine is feeling neglected. Wow!! What clever use of squares. Volume 7 coming out on May 7 sounds pretty lucky to me!! This block is fascinating. Really like it. Can't wait to make it. Maybe I will win since you can divide my grandchildren by 2 and get the number 7. Or dividing into boys and girls I have 7 of each! Love your block and the examples you featured, especially the one with the black background. Well in 7 days my husband is flying to join me in NC. We will be driving home to TX. I love your block and do a lot of machine embroidery. I like your idea of using your block to showcase the embroidery designs. Must try it. i have 7 beautiful grandchildren and i made 7 quilts for christmas! i love your block!!! 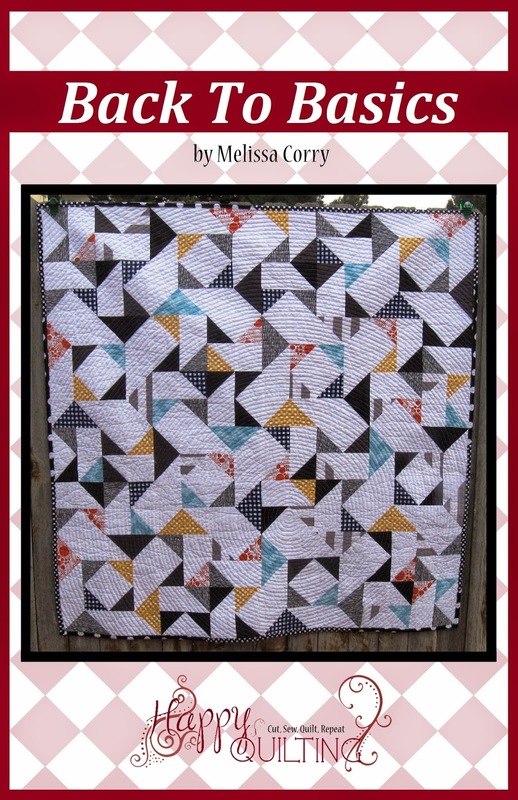 7...Seven...um...I now have 7 x 7 quilt ideas in my brain from all these wonderful blogs! Great block. I'm in 7th heaven. My youngest daughter was 7 years old before she slept more than three hours a night. I was one exhausted mama let me tell you. Love the block. I have 7 quilts "in-progress". Better get busy and finish them so I can start one with these fab blocks! Oh just seven days till my moms birthday! Love your block! I'm trying to have 7 quilts finished to enter in our Guild show this October. I love your block.. very clever.... can't think a anything for #7. Love your block - so versatile! My goal this year was to finish at least 1 quilt a month from my stack of UFOs. I've manage to keep up and will be finishing my 7th quilt this month (maybe even my 8th). Thanks. I love this block for the baby quilt. Or for a man quilt. Volume 7 looks like it has some great blocks in it that I would like to try. I love your plaid block! I married the 7th in a family of 9. Lucky me! Wow, you certainly have put a new spin on plaid. Congrats on your block in 100 Blocks. I love your design, especially on point. It goes together with so much. 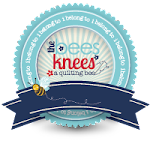 Sending 7 big THANK YOUs for this terrific block and for all you add to the quilting world. Also, I'm celebrating 7 years cancer-free!! Looks like 7 is a lucky number for both of us! Thanks for a chance to win. I wish there were more than 7 days in a week so I could get more done. Thanks for sharing your talent. 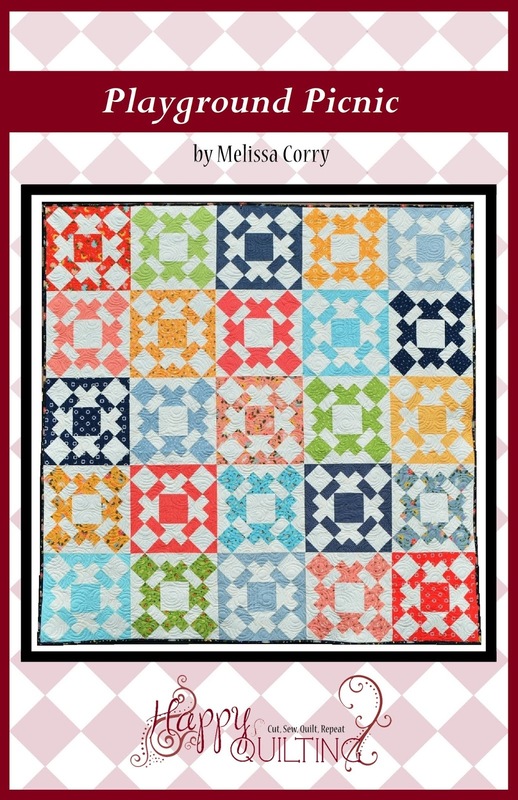 I have 7 fabrics that would look terrific in a plaid block quilt! Volume 7 looks to be the best issue yet! I can see myself using your quilt block to make a fun beach blanket for my son. Thanks for the chance to win! This year my husband and I will celebrate our 7th anniversary! Great block - I wonder what it would look like made out of plaid fabrics! I wish I could sew 7 days a week, but I'm lucky if I can sew one day a week these days. Thanks for the chance! Wow, What a fantastic block! I wish there were 7 more hours in the day so I could quilt quilt quilt! sew looking forward to issue 7 with all the exciting new blocks. i have 7 more tickets, the last on the 7th next week, to guess the exact time the ice will break up on the nenana river and the ice is still 49 [7x7] inches thick! spring is sew late up here! Cool block - I'd like to try using a large print as the background. I have 7 beautiful grandchildren named Gabriel, Marissa, Lyly, Marcus, Zeke Jr, Chris and Ethan. HUMMMMMM the number 7, that's easy, I have 7 pomeranians, my husband's blog is 7 under foot, my son has 7 children, his 4 daughters, and his wife's 3, yep that is 7 there... I live in planting zone 7 WOW I really didn't think I had so many 7's OH and one more, I am mother to 7 children... well I have 1 son, and my husband has 6 daughters so yeah that too makes 7... hope this was enough 7s for you. Love your block to, so very different. I grew up in a family of seven - the more the merrier! Congratulations! It is a brilliant idea, I love the possibilities and look forward to seeing your tablecloth! My daughter threw up on me about 7 times today! Wish I could quilt 24/7. Love your block!!! Seven....hmmmmm ohh I know I have 7 quilt tops made just waiting for when I buy a long arm quilter this summer. I'm hoping to have about 10 done before it arrives, so I have plenty to use to build my skills. I am the oldest child in a family of 7. I can see lots of possibilities in your block! Love the color pop in the black background! I am working 7 days in a row this week and it is cutting into my quilting time!! Must take cupcakes to church on May 7, so maybe one day I should commemorate all these cupcakes-baking activities via a quilt. How about a cupcake appliqued right in the middle of your Plaid Squared? Ooooh, I love this block on a black background. Stunning! I would be in SEVENth heaven if I won this giveaway, Melissa. Congrats on being included, and hooray for the good taste of the 100 Blocks editors. My oldest granddaughter is 7 - surely I could use a pattern or two to make her a quilt - love your blocks! I love plaids and I especially like the 7th month of the year as that is when my daughter was born. 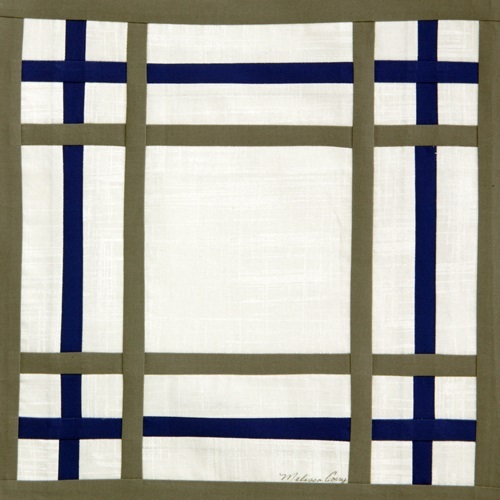 This would be a fun block to fussy cut center square, would frame up motif. Very unique block, I think I need to make 7 or more for one quilt! Thanks for the chance. Lucky 7 huh! 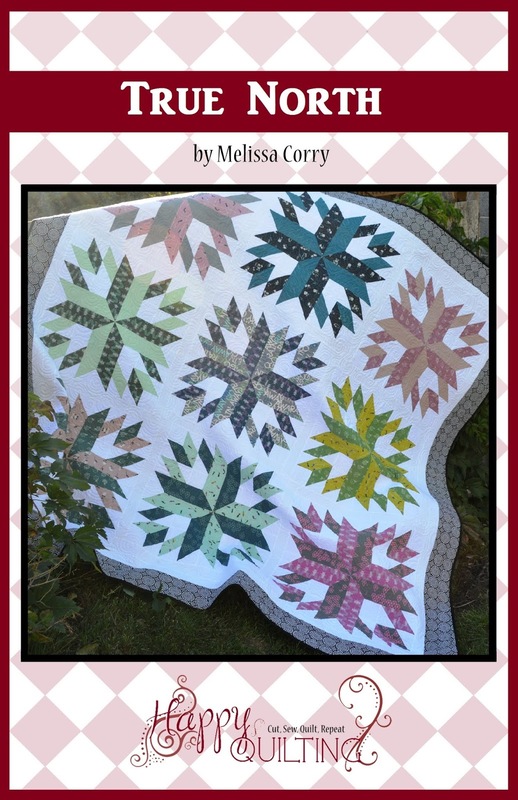 Well, I appreciate the chance to win one of your patterns and all the fun of this blog hop. 7 days a week just doesn't leave enough time for quilting! thks for giveaway. Can't wait to pick up Vol. 7...unless I win a copy first. Thanks for sharing your ideas, like the table cloth idea. 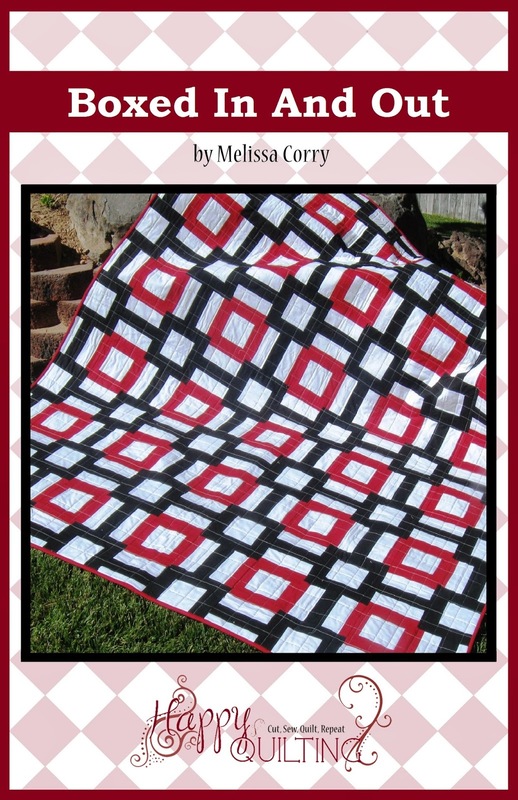 Your pattern for 100 blocks and quilt patterns are great! Ooooh to have all 7! That's easy-7 is my favorite number. I love the idea of a summer tablecloth! I would sure like to win Vol 7!! Thanks for the chance to win! I haven't even got a copy yet, and already I'm drooling over Volume 7. I think the other volumes may be getting jealous. Here is my number 7. I love your block - I think it's my favorite block yet! 7 is a lucky number!! Would love to have Volume 7!